It’s with reluctance to approach a thriller, or any movie, that adopts the gimmick of being told through computer web cameras and smartphones. I think, A Computer Jockey Thriller! When does the curtain go down so I can take a nap!?! 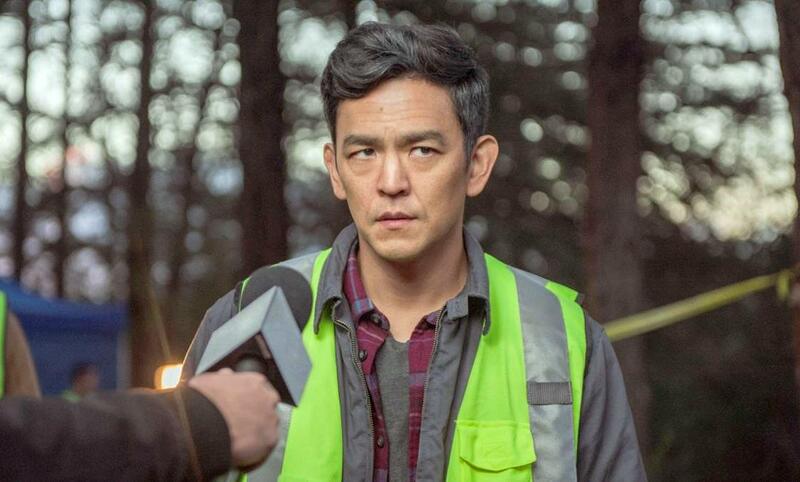 Yet Searching, with John Cho as a widowed father who goes berserk when his teenage daughter goes missing, manages to proceed smartly and gets you to care about the relevance of it all – this is a story that could actually happen. Within minutes, I was quieted and stirred within. In the scenes played out over the opening credits, Cho (as David Kim), seems to have embraced every facet of the electronic age as he recorded, filed uploaded, every single “special” moment he ever had with his then-wife and child, and whatever data analyst job he does professionally he’s got a panache for it (he’s got a total of one such scene). David has spent his life using the Microsoft Calendar and faithfully adhered to it. 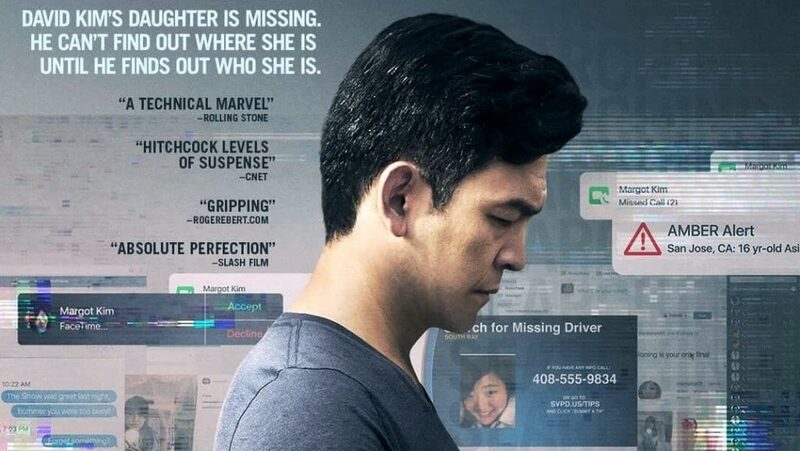 There are several instances of friction between father and daughter on the fateful night when daughter Margot (Michelle La) goes missing, but it’s clear they have developed a lifetime of trust between them. For example, it seems evident that Margot always tells Dad where she’s at and where she’s going. By the time it’s Friday and Margot has skipped out on her afternoon piano lesson as logged in the Microsoft Calendar planner, it’s a moment that sends Dad into panic mode. What’s even more alarming is minutes later he figures out she’s been skipping out on lessons and pocketing Dad’s money for six months. An official investigation is opened, but Dad stays relentlessly busy, going through Facebook postings, Instagram page of selfies, Tumblr, and a (fictional) YouCast video blog to trace the steps and rack up a number of intriguing clues. If there’s anything far-fetched in “Searching” it is the contemptuous relationship that happens immediately between David Kim and Detective Rosemary Vick (Debra Messing), who for being an objective clues tracker, tends to get bogged down in what David has come up with theory-wise at every hour of the night. Was Margot a good girl derailed by a bad crowd, was she a random victim accosted by a violent stranger, or did she possess a hidden dark side that led her to criminal activities thus prompting her to run? “Searching” leads to some interesting answers and to a final conclusion that is highly improbable but at least possible. I was more emotionally invested and thoroughly caught up in suspense far more than I had anticipated. Film Cousins: “Quarantine” (2008); “Trust” (2010); “Catfish” (2010); “Unfriended” (2014).